Workflow process chart is a visual representation of a process. Visualising processes using workflow process charts allows analyse and optimize the process, focusing on each step and relations between steps. ConceptDraw DIAGRAM software contains specific features designed to draw workflow diagrams faster, that makes drawing of work flow process charts easier. ConceptDraw DIAGRAM is a software for rapid drawing workflow process chart. 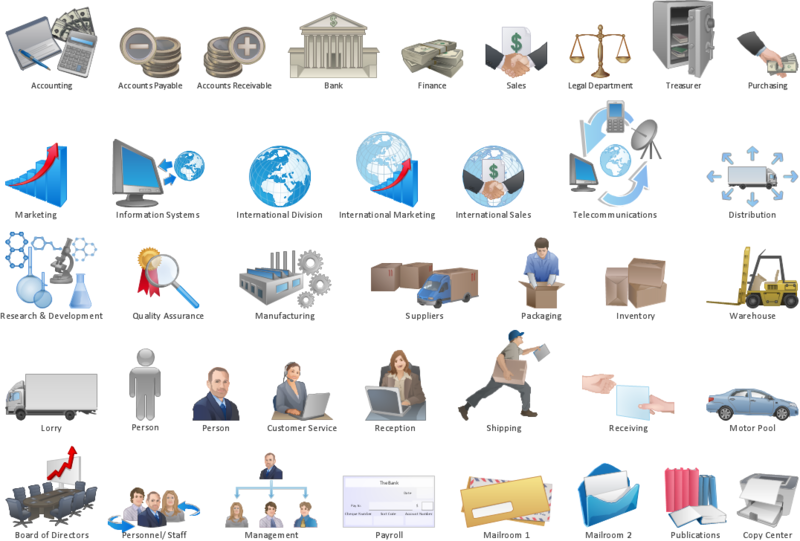 The Workflow Diagrams solution contains libraries and templates set with vector stencils and cliparts. To make easier the study and analysis of working processes and for presenting them in a simple visual manner. Pic.1 Workflow diagram - Design elements.